Throughout the school year, you have been encouraged to make healthier lifestyle choices. What major topics stuck with you this year? What changes do you feel you have made based on what you learned in this classroom? Have you shared this information with others, and if so, how do you feel you have impacted their lives and overall wellness? This year I have become more conscious of my daily nutritional intake and also, how out of shape I have become this year. This semester alone, I have put in more than 200 hours on the computer. The reasoning for being on the computer so much is so that I could work on my artwork for both my Digital Graphics and AP 2D art classes so that I can get the highest grade possible on my AP exam (which technically goes on all year for AP 2D). Throughout my time sitting around staring at the computer, I fail to realize that I am quickly getting out of shape because of the fact that I am not moving nearly as much as the average person or exercising due to the lack of time. To counter the less available time to exercise during the week, I put in at least 20 miles on the bike every weekend. In the coming weeks, my friend and I will split the cost of purchasing a punching bag so that we can do upper body workouts to go along with the lower body workouts that the bikes provide. In addition to an increased amount of working out over the weekend, I have been very conscious of what I eat too. Because of my new knowledge about the digestive system and nutrition, I have come to realize that my body has become lactose intolerant. Finally, after years of wondering why I felt sick after eating certain foods or drinking certain drinks, I discovered what was making me sick; Dairy! This has helped me feel much better than I have been feeling the past few years as I stay away from foods packed with lactose. In addition to this, I have learned that whole wheat products are the way to go, and that I should stay clear of white bread. I never really knew the difference between white and whole wheat bread, and I did not know that white bread greatly lacked nutritional value. I have been eating healthier pastas, breads, and have cut down on the snacks as well. My thoughts about changing my diet spread around the dinner table at home, and now my family loves to make foods with whole wheat and grain, and balanced ones at that. We try to make sure we eat foods from every part of the food triangle, and try to cut down on our servings. My family is becoming more active as well, as my sisters are joining more and more sports teams that are available to them! One of my goals at the beginning of the year was to make a change in my family's daily routine, and implement healthier activities and foods. I feel that I have accomplished this task quite well! This year has actually been a big change for me and my diet. I used to give little thought about what I was eating and how it effected me, but after being around people who really care about their health and learning what certain foods can do to your body I've made both major and minor changes to my life. Now, I pay much more attention to my meals, I drink very little soda if any at all, and my friends have made some changes with me. It may not have greatly impacted our lives just yet but its been a good change and I'm hoping to become much healthier and fit using the knowledge I've gained from the course and the other students I've been around. This year has been a great year for me to change my bad habits in my diet. In the past i really did not care about what i ate, i just wanted to eat. Now i actually look at nutritional values i eat alot more fruit and do not eat fastfood anymore.My family and close friends already eat healthy so the things that i gained from learning to eat healthy is pretty much all positive attributes for me. I have gotten better at sports i am less lazy and now i plan to make sure my family when i grow up will be alot more healthy. With the Healthy Cowboy Challenge I found that you really have to stay focused and motivated to achieve all the goals that you want to achieve with eating healthier and making better choices. As a result, I think more about all the food choices that I make and even tried out different vegetables and fruits I've never eaten before as well as ate more of it. Furthermore, I learned the effects of eating unhealthy, junk food and what was really in fast food which made me restrain myself from eating all those types of foods. When I learned that the chemical that McDonalds fries have to make the fries crispier does not digest or breakdown in our body, I told my sister about it right away since she loves McDonalds fries. Even though this did not really stop her from eating the fries she limits herself on how much of the fries that she actually eats which is better than nothing in my opinion. Looking back on the entire course of the year, I think the health topic has stuck with me the most. After learning more about the process in which our food is prepared and how our body’s react to it, I would definitely say I am more cautious about what I put into my body. I have come to a decision that anything that enters your mouth should benefit your body (nutritionally) in some way or you really shouldn’t be eating it. It takes an active balance of exercise and diet to maintain good health. Just this past summer I got really interested in eating healthy and forced my family to make the diet changes with me. We now eat WAY more vegetables (even though we consumed a decent amount before), we swap normal household items with healthier alternatives, and I have cut our purchasing of processed foods in half. Overall I enjoyed learning about the body and how to improve our way of life just by simple alternatives. I believe the more information spread about what is consumed the healthier our country will be. Until everyone knows what exactly the process is I don’t think people will ever change unless they are stunned by the truth. You can’t sugar coat the truth and expect people to alter their habits. I feel that by taking anatomy I have learned a lot about making healthier choices and lifestyle changes. One change I would make would be when we skyped with the New Zealand people they had mentioned that they did not know about the “super-size me” meal and that really stuck with me because in Texas everything seems to be super-sized and I hate that. You can’t just go into a restaurant and order a smaller portion necessarily without paying a little more because everything is bigger in Texas. If we learned to live like they do and not get that or cut down our portion sizes then we would be a lot healthier. Some changes I have made based on what I have learned in the classroom is the fact of just being healthy. I have learned to cut portion sizes, maybe workout a little more. I think working with a client during the HCC project benefited her but also me because I can learn along with her as she is learning. With the Healthy Cowboy Challenge I found that you really have to stay focused and motivated to achieve all the goals that you want to achieve with eating healthier and making better choices. I have not really shared this information with other but feel as if I did that it would impact their lives as much as it did mine and others. Throughout the year I have gone through many changes regarding diet, sleep, exercise, and overall wellness. Specifically from the class blog, I have changed my bad habits multiple times. I improved my sleep habits drastically for a week, and felt such an incredible improvement in my energy and mood that I decided to try my hardest to permanently improve my sleep habits. Granted, I do not have time for a full night's sleep on a daily basis, but I have certainly increased my nightly sleep. I also increased fruits and vegetables for a blog, which wasn't hard to do at all because I already eat lots of these. The hardest thing to change, though, was the preserved food. Eating entirely natural food for entire week was extremely difficult, especially since power bars are an essential part of my diet. Because of that change, I have drastically cut down on power bars and 'fake foods'. Regarding the Healthy Cowboy Challenge, I learned lots about the importance of overall health, not just focusing on one aspect of the body. I would love to be a personal trainer/nutritionist when I get older, so it was a fantastic way for me to get my feet wet in this field. I have helped my family purchase more natural food, exercise more, and sleep for longer because of the things I have learned in Anatomy. Throughout the school year, I have learned and changed a lot about my diet and exercise in order to live a healthier lifestyle. By completing challenges from the blog, it has forced to to try new and healthier ways of living my life. For example, the challenge about not eating fast food or anything fried for a week, made me realize that my diet wasn't as healthy as I thought it would be. Anatomy has allowed me to see the effects of unhealthy and healthy foods on your body, as well as diseases that could occur as a result of bad choices you make. Activities we did, such as the Healthy Cowboy Challenge allowed me to see the importance of a healthy diet and exercise. It also affected me because it impacted my life by teaching me how to control my portion size of my meals and snacks. Overall, this course has affected me positively because I have completely cut out soda out of my diet, and drink tons of more water ever since getting a camelbak :) I also encourage my family and friends to eat healthier, even though its a challenge, and plan to set up some sort of diet plan to eat healthier as I move into college. Throughout the year I learned a lot about diet, exercise and interesting facts I would never have guessed about. For example, fat in gum and the shells of beetles in red food coloring. Throughout the year I have cut out soda and coffee. I have also learned to time manage working out with school because in the past I exercised for a long amount of time instead of isolating muscle groups. I have also learned a lot about how my body processes. Looking back on anatomy class this year, I feel that the course has taught me a lot about healthy living. From the HCC project, I’ve realized how much daily motivation and strength of will is required to stick with diet and exercise plans. Furthermore all of the units from this year (cardiovascular, digestion, skeletal, etc...) have shown me that how we treat our bodies now and for the rest of our lives affects us later down the road. The exercise and diet choices we make now can mean the difference between having major health concerns (i.e. heart disease, Type II diabetes, osteoarthritis, etc…) and living without these serious concerns. Based on what I’ve learned this year in anatomy, I’ve started eating more fruits and vegetables now, and I exercise more regularly as well. I’ve encouraged my parents to make healthier choices (i.e. taking walks for exercise and eating less processed foods) as well. Though motivating and encouraging my family (and myself) to stick with exercise and diet plans is at times difficult I feel that we are all on track to living healthier now. I'm been a lot more cautious about what I eat and what I consume everyday. When we began researching about the recommended daily intake I became extremely aware of how much sugar I consume on a daily basis. After the HCC project I haven't been drinking soda as much and I've been eating a lot healthier than before. The project really allowed me to see how making small changes in your diet and daily exercise makes a big difference! Throughout this year, I have gained a lot of knowledge about the importance or diet and exercise. This year in general I have greatly decreased the amount of sodas and caffeine I drink. This lifestyle change has left me feeling healthier and more energized since I’m not relying on caffeine for energy. With the Healthy Cowboy Challenge, I was able to share the information I had learned with my client. By sharing this information with her, I feel like my group has provided her with a different perspective on the importance of working out, eating healthy, and how it can affect your body in the long run. For example, showing our client the infographic on Diet Coke was really an eye opener and showed her just how bad sodas and caffeine is for your bones and body. During the challenge, my group served as a support system and each week when she weighed in, we held her accountable for the diet and workouts we had provided her. The biggest topic that has impacted my life has been the truth regarding the effects soda has on the body. Before this class I was always willing to drink soda, thinking, "it doesn't hurt me that much, it's only sugar, water, carbonation, and some flavoring." but now that I know what soda does to the body I have decreased my soda consumption to once every couple weeks, where three years ago I would get a Fanta after basketball practice four out of the five days we had practice. Another topic that I've learned this year that I share with others a lot now is how fake our fast food really is. All of the unpronounceable ingredients in packaged foods as well as in the fast food discourages me from eating them. The conference with the Australian kids also played a part in opening my eyes to how bad the eating habits of Americans really are. I always thought that we were just fat because we had more food, but now I know that it's because of the cheap, unhealthy, addictive products food manufacturers get to put into our food. Throughout this school year, I have learned how important it is to live a healthy lifestyle. I have learned that it is very important to eat the right kinds of foods like fruits and vegetables on a daily basis. After learning about the importance of a healthy diet and regular exercise, I feel like I have started to eat better and work out more in order to make myself feel better. I have found myself getting up early before school to go work out and I have even attended some yoga and Pilates classes. I have shared some of this information with my family. As a matter of fact, my mom and I go to the gym together at least 2 times a week. Through the anatomy class, I have become more informed with how the body works and how an unhealthy diet directly affects the function of the different organs. It's common knowledge what foods are good and bad for you, but most people don't know "Why? ", making it easy for them to dismiss the information. Anatomy also cleared up myths as to what is actually in fast food; long "scientific" sounding words don't mean that it isn't a synthetic ingredient. This class helped clear up those questions as well as encourage me to make changes in my own life, no matter how small. Working on the Healthy Cowboy Challenge helped me realize that you even making small changes - like eating at home instead of going out or walking somewhere instead of driving - are easy to implement into your daily life, and although they seem insignificant, they add up. Taking Anatomy this year I have learned a lot of cool, fun, interesting, and disgusting things. The major topics that stuck out with me this year were the diet and nutrition unit and also I really enjoyed learning about the bones in our body. The first change I have made from what I have learned in the classroom is I constantly read the ingredients on the back of everything I eat, because now I know what could possibly be in the food I am eating. Another change I have made is I don’t really drink milk anymore. After finding out that the milk I am drinking could possibly be infected by disgusting cow puss from the machines that milk them…Yeah that pretty much did it for me there, besides I would rather have orange juice anyway. I have shared the information I have learned with my family. I think overall we eat healthier and exercise more too. I feel like as a family we choose to eat at home more than over eating out. I am really glad I chose to take Anatomy for my fourth year science. I have learned a lot and I actually enjoyed it and looked forward to coming to class to learn about how our bodies work…it is just fascinating. Throughout this school year, I learned a lot about how the body works and what we should and shouldn’t eat. Some of the main topics that stuck with me were working out and nutrition. Also another that stuck out to me was the digestive system and the lab design experiment. Changes that I felt I made were exercising more and be able to know what type of chemicals I am putting into my body. I shared a lot of information with family, mainly my dad because he’s more interested than my mom and brother. I feel like the information I provided helped us eat healthier and some encouraged them to exercise more. My parents and my brother eat McDonald’s sometimes and after I told them about my experiment, I encourage them to eat it less. There hasn’t been enough time to see if they did actually reduce eating at McDonald’s, but I hope that they begin eating less until they don’t eat it anymore. Topics that have stuck with me are topics that are centered around fast food such as McDonalds. It's scary to think that many fast food places and event restaurants don't have real food. It's scary to think that some of the fats that are from their food does not leave your body. The changes that I have made due to this class is being smarter about what I eat and portion sizes. I heard that Americans eat more than other countries and it hit me hard when talking to New Zealand that our portion sizes are ridiculously unhealthy. When going out I am more cautious of how big my portion is and cut it down to wear I'm full and satisfied but not full and miserable. I've always repeat about McDonalds french fries ( the crispiness of the fries and the fact its drenched in beef juice)and of course their meat and also taco bells bean and how they are chemically made and flavored to where they taste like real beans, so yes! I'm not sure if I impacted them tremendously but I definitely gave them something to think about! Looking back on this year in Anatomy I have realized that several things I have learned I can now apply to my life. One noticeable thing that stuck with me is my eating habits, I no longer eat any fast fried food. Also I learned how the inside of my body all functions in unison which helps explain a lot of everyday occurrences in my life which has helped me maintain healthy sleep patterns and eating patterns. My favorite thing to learn about was the brain because not only did I learn its parts but how it creates thoughts and what part controls each thing and I noticed that a lot of working out is mental. Through choosing a healthier lifestyle I have impacted my family positively. Throughout the school year we have been encouraged to make healthier choices. One thing that stuck with me was how soda intake can affect you, specifically the strength of your bones. I have started to decrease my soda intake to almost none and I can see a difference in my energy, focus and body. It has been a positive change for me that I probably would not have made without this class. We have studied many different topics this year but the topic that sticks out the most to me is diets and eating habits. Diets and eating habits really stuck out to me because it made me think about my diet and eating habits. After studying the topic I no longer eat fast food and I limit the amount of fried food I eat. Also I am more conscious about what I eat and if there is a healthier option I often chose it. I am very glad that I took anatomy this year because I have learned information that I can use for the rest of my life. We have learned any different topics over the past year! The topic that will stick with me is the dieting and exercise habits we learned through the HCC. The changes I have made after doing the HCC are working out daily and deciding to eat a healthy snack vs, cookies or chips. Also making better choices as to where I eat and what I get. I have shared the information I learned with my parents and they have changed some of their decisions on what they eat and we all have decided as a family to use the HCC Pintrest boards my group made at least three times a week during summer. Throughout this year, we have studied a plethora of topics and healthy habits. One habit that I have stuck to is consuming more water daily. At the beginning of the year, I drank sparse amounts of water and lots of soda. Throughout the year,however, I learned just how bad soda is for the body and how important water is. I made a pledge to replace soda cans with water bottles. At first, giving up soda was extremely hard,however, after a few weeks I became used to water instead of soda. Overall, I felt more hydrated and more fresh. During this school year, I have really enjoyed taking this class because of all the interesting and surprising things we have learned about the human body. For example, doing the case studies throughout the year was really cool because it gave us a chance to do quick research and learn quickly about a disease that someone may be experiencing and give our thoughts about it. By far my favorite topic in this class was when we learned about a healthy diet and nutrition. I loved learning about how our body reacted to certain foods and how it can effect our bodies in a negative or positive way. I remember we did one activity where the class had to google nutrition facts from popular restaurants. It was so surprising to see how unhealthy food can be and how unaware Americans are about it. Being able to take what we learned and help a teacher here on campus was a great way to not only help change their lifestyles but also become more aware of our personal diet and really think about our lifestyles as well. The major topics that have stuck with me through out the year about making healthier lifestyle choices are to drink more water, not eat fast foods, and to make sure to get enough sleep. Prior to taking this class I know i was not drinking enough water and I was eating way to much fast food. I feel that I have always been getting enough sleep, but I never knew the importance of sleep. Thankfully my metabolism has been able to handle the amount of fast food that I have been eating but I know it would not have been able to handle it or very much longer. I have not shared this information with anyone so far, but I plan to since I have some family members with some decently sized bellies. This year we have learned countless topics that have affected me. The topic that has stuck with me the most in probably diet and exercise. I no longer drink soda, which is hard for me because i used to have a coke everyday. This topic surprised me the most when we used the chicken bones and saw how easily they broke. I have shared that i am no longer drinking soda with my family and they agree that it is a good choice. My mom and sister have joined me with this. My dad on the other hand is a little harder to get on board. I feel that i have impacted my mom the most because it will help her to become healthier. Much to my dismay because of my hatred of exerting energy, this year the thing that I have learned that will stick with me the most is how much your body needs exercise to function normally and be healthy. There is nothing on earth that I hate more than working out, but this class has inspired me to at least walk my dog or something once a day. Also, this class made me appreciate the fact that my mom doesn't keep soda in the house. I basically drink water and tea except for special occasions and I am so glad that Mom got this habit started young. Throughout this year I learned a lot about my body and what to do with my body. The topics that stuck out to me was our discussions throughout HCC. As we were making diet plans and exercise plans for our client it encouraged me to make the right choices too and even try some of the recipes/exercises. Also, another topic that was not only informative but fun was when we got to interact with the first graders and teach them about a healthy lifestyle. It struck me to how fragile bones can be because of our diet choices. That made me cut down on soda after seeing the effects of it on the chicken bones. Also, while telling the first graders about healthy life choices I was trying to implement what I told them to my life too. I have shared the healthy life choices with friends and family and it made us more aware of what we eat now. We actually look into what we eat now by checking the ingredients or serving size. Also, at home we try to replace soda with juice or even plain water. Throughout my year in anatomy, I have learned so much about healthy lifestyles and making healthy decisions, especially through the Healthy Cowboy Challenge. What I learned through that is that it's actually not as difficult to eat healthier as it seems. When I was making meal plans for my client, I actually found myself wanting to try some of them, and I actually did. I shared these meals with my family and we have been trying to eat healthier as well, and I feel like our lives have been impacted a lot and that our wellness is getting better and better. When we got to do our own experiment, and my group did the effects of soda on the liver, it really opened my eyes to how unhealthy high fructose corn syrup is. Overall, the major topics that have stuck with me this year are the ones about our health, especially the healthy cowboy challenge when we all got to see our hydration levels and our fat levels and all of that. After being in anatomy, I have changed my opinion on soda, and I have been eating healthier and wanting to exercise more. Hopefully this is something I will be able to take with me to college so that I can be healthy while I'm there! One of the biggest topics that stuck with me this year was sleeping a full nights rest. In the past I have not got the full night sleep, and functioned moderately okay, but when I got the full night I was able to do everything in a much more effective way. Another big topic was the dieting tips and challenges that I did this year. Such as that I decided to eat more fruit and felt a change in my energy and overall mood in a positive way. In class I have cut down the amount of fast food by a large amount because of what I learned in class the excess amount of calories, fat, sugar, etc. in all of the food. I now eat much less fast food, and attempt to eat more natural food and less of it. I shared this information with my family and they found it quite interesting, and especially my father agreed with me and also been trying to eat much healthier. I have discussed some of these health issues with my friends and they are amazed and grossed out with some of the information that I told them, so they began to at least think about what they are eating before they eat anything. A lot of the different things that we learned this year has made me make changes in my life. One that stuck out to me the most was the chicken bone lab and how it had changed color due to the liquid. It really made me think about what I was putting in my body and I stopped drinking sugary drinks for the most part. I have shared what I have learned to my family and friends and they were surprised to hear about what had happened in that lab. I think not drinking all these sugary drinks and energy drinks impacted our lives by preventing tooth decay and keeping our other bones healthy as well. There are so many topics that have stuck with me/ will continue to stick with me throughout the rest of my life. One of them is eating healthy, it's so important and vital to having a healthy lifestyle. In doing the Healthy Cowboy Challenge I really learned what kind of foods I need to be putting in my body. Also throughout HCC I learned the importance of exercising as well. A few of us actually went to exercise with our client and it was really beneficial and was able to show us as a group how important exercising can be in ones life, and if one is not exercising regularly they should be. I've also learned that sleeping is the best medicine one can get, also if one gets enough sleep they are actually preventing many life threatening diseases. Sleep is something humans take for granted, but is one of the most beneficial things one can get in regards to their health. I try to regularly sleep around 8 hours a night, but sometimes that doesn't always work out. Overall, there are many concepts in this class that will be very beneficial to me as I go off to college and start to live on my own. The biggest thing I took from this year was eating healthier and making sure I have drank enough water. The biggest change I have made was actually preparing healthier foods for every meal I eat. Instead of just doing what is quick and easy, I decided to start taking the time to actually care about what I was eating. I provided this information with my family and I have noticed a significant difference in the way they eat. By preparing meals at home, my parents took to liking my ideas and began making meals for themselves at lunch as well in order to maintain a healthier lifestyle. Because of their preparing their own meals, they both have lost weight confirming to me that this is helping to improve their lives. Many of the units we had this year were interesting to learn about and helped me understand more about how the body works and the type of things that are needed to keep it healthy. I liked the nutrition and exercise parts especially because I learned things that I could use in my everyday life. Doing the Healthy Cowboy Challenge and making the charts that she would follow every week made me start thinking more about what I ate and how I could change that. I started to make meal plans for myself to try and minimize the amount that I spend on food and eating out while being healthy. Even if I don't follow them all the time, it's good to know how easily I can find recipes if I need to cook something quick. The exercise part also inspired me to renew my membership at the gym and now I am back to loving exercise. I can't go as much as I like because of work but I try to at least go three times a week and that seems to be working out pretty well. Diet and nutrition can actually be fun and interesting if you put time into it. I have tried to get my mom and sister to start eating better and cooking more at home but for now I think they are stuck in their ways and would rather just eat out. Overall, I learned things this year that will aid me long into the future and that will keep me healthy now. In anatomy this year I became very aware of my own body. I'm more concerned with what I'm eating and if a muscle is sore what muscle it is and why it is hurting. Instead of ignoring what going on, I try to fix it or find out why I feel that way. The dieting challenges and tips are also something that will stick with me. The healthy cowboy challenged showed me the importance of diet in weight loss. You can't get long lasting results with exercise alone. Sugars, carbs, and fats need to be monitored in daily meals. It is also best to eat home meals using organic or raw foods. Exercise should also be part of a daily routine. Just 30 minutes a day of walking or 2 minutes of a "sworkit" workout can make a difference. A person's health can't be traded for anything else, and anatomy has taught me how create a healthy lifestyle for myself. Throughout this school year I have learned a lot about healthy living. When we learned about nutrition it really interested me because it made me aware of the things I eat and the amount of calories, fat, sodium ect.. that are in the things we eat. I definitely stay away from fast food places now. Ill eat it occasianally but not as much, and I watch what I get there. Im also starting to get more at home and cook healthier things such as chicken with veggies instead of just going out to a restuarnt and eating out. I have tried to share what I've learned with my family. Ive impacted my mother and I given my uncle some suggestions on what type of foods might be good for him to eat and what to stay away from to help with his cholesterol. I know I've impacted my mother and uncle and hope the rest of my friends and family with take the information I have shared with them into consideration. This year, the thing that stuck the most would have to be eating healthier. I began making my own lunch for school everyday and I was able to consume more healthy foods and overall begin living a healthier lifestyle. I noticed that I had more energy and was very motived to start exercising as well, which proves to be beneficial to my life as well. I shared this information with my mom as well and she too began eating healthier. The major topics I stuck with this year was to get more sleep, eat more fruits and vegetables, and be conscience of what you are putting into your stomach. Some changes I have made are to get an hour or two more of sleep, incorporate for fruits and vegetables into my diet, and to closely watch what I am eating. For example, reading the nutrition facts before I buy something at the store or carefully choosing what I am going to eat when at a restaurant. Through the Healthy Cowboy Challenge, we have used our knowledge of nutrition and help change the diet and lifestyle of various teachers throughout the school. Additionally, I have told my friends to watch what they eat and what to look for when choosing something to eat. This is a great skill to have, especially when a lot of us are going to college in a couple of years; so the knowledge we have learned from this class will help us to life a healthy lifestyle, even when we are on our own. This year was very eye opening in the fact that I became more aware of how food effects your body in the long run and that healthy lifestyle habits should start in high school. The topics that stuck with me the most were the actual ingredients in alot of fast food meals (gross) and how obesity really does affect America and is on an uprise. This is completely unhealthy and youth need to be aware of this issue so that they can save their bodies and other people's as well. I have definitely became more aware of eating more organic foods and preparing my own meals at home. This ensures that I know what I am putting into my body and not relying on frozen meals or mixes or drive thrus. I have shared this information with my friends and parents. My mom and I now make healthier dinners and buy healthier snacks and my friends and I pick local bakeries or to make our own meals when we go out instead of fast food joints. This has impacted my overall wellness because I feel better and just have more energy. Also, my friends and I have started working out together or just walking instead of hanging around the house watching tv and stuff. This class as impacted me for the better and I am sure that I will continue to make changes in my everyday life in order to live a healthier lifestyle. There were so many topics that stuck with me this year and that I will continue to carry on throughout my life. One of the biggest things and most talked about topics is eating healthy. I think that healthy eating is one of the most important things you can do to stay healthy. I have started to eat healthier by making my portion sizes smaller, eating out less, and in general eating healthier foods. Another very important thing that stuck with me is working out. We talked about this a lot during Healthy Cowboy Challenge, and I think in order to stay healthy you need to not only just eat healthy but also workout to maintain balances. I shared some of this information with my family while sitting down at the dinner table talking about our day. We as a family have stated to eat out a lot less and make food at home that is healthier. We have also stated to make less food that way we are less obligated to eat more at dinner. But if there were any leftover food my parents would take it for lunch the next day to have a healthy lunch. I will try to do the same when I go off to college in the fall, and I think that by learning of this I will become and stay healthy and create good habits for myself in the years to come. Overall, I found this to be one of the most interesting classes I have taken during my high school career. I really like how we have focused on maintaining a healthy lifestyle because I feel that’s someone we can all relate to. One of my favorite things we have does was the Healthy Cowboy Challenge. I really liked being able to help someone change their bad habits and see a difference in their health. I found it very shocking to see the nutrition facts on a lot of the foods we eat which had a big impact on my lifestyle as well. After looking at all of the health problems American has, I have changed some of my eating habits and have greatly increased my physical activity. I have also shared a lot of the information I have learned this year with many of my friends and they too have made a change. 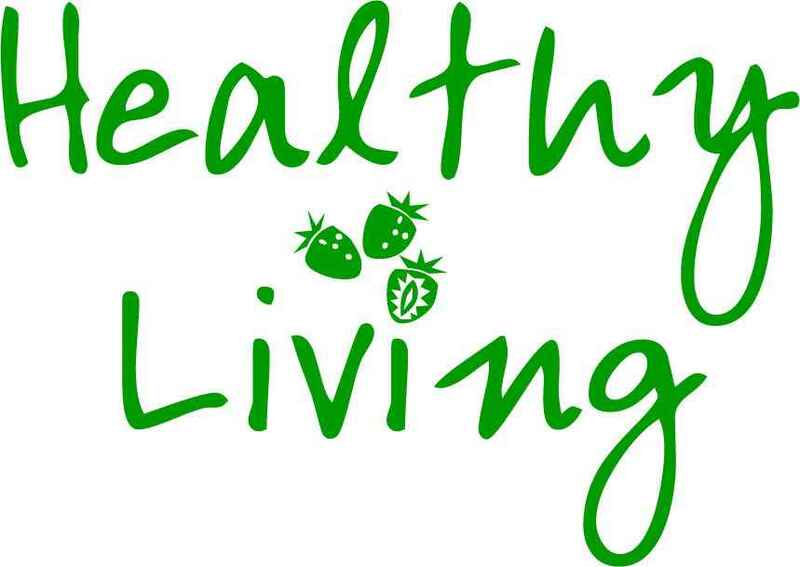 I think its good and very beneficial for everyone to know what is healthy and what is not. A few major topics have stuck with me this year. I already have been pretty healthy regarding working out, running, and sleeping. However, I would normally eat at least 1 fast food food dinner every week but now i have realized how bad fast food is for you. They have a lot of bad calories and so now i try to stick to eating real meat that is provided. DUring the HCC i realized I am dehydrated most the time so i have been more conscious with drinking water throughout the day because i need to replenish. I have for sure shared information ive learned about fast food to my friends. However, as I explain whats in fast food, my friends do not want to listen because they know its bad but they like it too much. Throughout this year, I learned a lot about my body and how bodies work. I am more aware of what I put into my body and how I affect my body positively and negatively. I thought that exercising was the only way for me to lose weight and be “fit” but what I put into my body has a huge part in it. I try to eat more fruits and vegetables, and eat less carbs and fatty foods. I drink more water and avoid dairy products. I have more energy and feel like I can accomplish and do more things everyday. Sleep is also very important. Sleep boosts metabolism and immune system. When I am tired and lacking sleep, I crave more junk foods and eat when I don’t have to. I shared this information with my family and tried to get them to change their diet habits with me. My parents eat more vegetables and fruits, and try to stay more active. The small changes helped my mom lose 10 pounds and she feels healthier and better. This year I have learned a lot about our bodies and what happens and why. But the topic that has stuck with me the most is living a healthy lifestyle. I now am much more conscious about my health. I monitor what I eat and I exercise more often. I have taken home recipes and workouts from the healthy cowboy challenge and shared them with my family. We have made some of the recipes at home and enjoy eating healthy. Because of HCC, I also try and drink more water. I bring a bottle to school every day and try and fill it up as many times as I can. Overall this year I have learned many healthy habits that I will carry with me as I go on to college next year. For me this year i would say the exercise daily and the eating my intake of fruits and vegetables have stuck with me the most. I've been getting in my 1 hour work outs and have been seeing positive changes weight wise and energy wise. I can see that im not always tiered after a running like i used to be, and that i have more energy in my day than i used to thanks to putting in an hour of work. The people who i tried to covert to this life style were already starting, the people being my parents, and all they eat is fruit, so they're ahead of me on that. So far they've been shown signs of increased health! As the year moved on, I learned many things which I never knew about. This included how our body functions, the benefits of eating healthy, and mainly how to maintain a healthy lifestyle. Due to all the stuff I learned in this class, I have changed my eating habits. Before, I used to eat out so much and never knew the importance of eating healthy. After learning different aspects of our health, I have completely changed my diet to a healthy one. I eat more fruits and vegetables, and keep a balanced diet. Also, the experiment we conducted in this class about the McDonalds fries was a wake up call for me. After seeing the results of that experiment, I rarely eat out at fast food restaurants. These changes are going to result in many benefits in the long run and these lessons will stick with me for a while. Throughout this year I have learned a lot about what it means to be healthy. By taking Anatomy, I have learned that looking healthy may be different than feeling healthy. I think the topics that have stuck with me the most were exercise and diet. Based on the things I have learned this year I have made many changes in my diet and in the way I exercise. I have learned to be more cautious about the food I put in my body by trying to limit the amount of fast food I consume. I also have learned, when exercising, I need to make sure I don’t do the same type of workout each day. I must change up the workouts in order to enhance my physical fitness. I have shared things that I have learned with my friends and family. I feel like the things I have shared with them has help them think more carefully about their health and overall wellness. This year I have learned a lot about my body and how it works. Learning about the harm that some foods can do on my body has really made think. I decided to change my eating habits, I don't eat fast food or drink soda. I eat fruits and vegetables for lunch and work out at least 5 times a week. Changing my eating habits has really helped, I feel like I have more energy and I just feel better about myself. My mom has decided to change with me, we try to walk every night after dinner and she has changed her eating habits too. She has lost some weight and she too feels a lot more energetic. I feel that changing my eating habits has make a great impact on my moms and my health. This year I have become a lot more aware of what exactly I'm putting in my body. Between hearing Will talk about his detox and his attempt to cook healthy food and how aware Mrs. Deinhammer is about what she eats, not to mention the all of the lessons we have learned this year, I hace actually started to be really conscious about what I'm eating. This year has made me want to eat less and exercise more often and I actually feel bad when I have a, unhealthy day and I think about what I'm eating whether it is for a snack or meal a lot more than I did previously. I think that this class has taught me a lot and I hope the drive to be healthier will last. I have definitely been encouraged to promote a healthier lifestyle in anatomy this year which just further facilitates my already healthy lifestyle. I have learned to avoid certain things after seeing the effects they can have and choose the healthier option instead. I have almost entirely removed soda from my diet as I have had less than 5 sodas all year. I have also seen in our class the negative effects certain foods can have on the human body and I have gone out of my way to avoid them as much as possible. A good example of this would be sugary foods/drinks and sugar in general, I have done my best to limit my sugar intake and it has helped me in many ways, such as clearing up acne and giving me more energy. Throughout the 12 weeks of the HCC, I learned many new healthy meal plans that I can implement in my own life and have done so a couple times. Because I already lead a healthy lifestyle, one of the most common topics I talk to friends about in school involves being active in some way. Anatomy this year has provided me with further knowledge which has allowed me to inform others about healthy decisions. I know that I personally have helped my family make changes to their diet and exercise to improve their health. Coming into the school year I was already a pretty healthy eater, but taking this course has taught me why certain food is damaging to my health. I also learned that not only eating healthy is important, but also it is very important to eat a variety of foods to achieve the best diet possible. A variety of food helps the body intake all of the nutrients it needs. Something such as a vitamin deficiency can be very damaging to one's health and wellness. Mrs. Deinhammer has stressed the importance of eating healthy and staying active to her students, and this can be very beneficial to high school students beyond the classroom as they soon transition into college in a few months. This year I have learned more about what is good and bad to put in your body. Learning about the body functions and things I didnt know before this year will be very helpful for me moving forward. I am not the most aware about what I eat usually, but this class has helped me realize that I must be more healthy. I try to watch what I eat more now. It is easier when I am home and can be more conscientious of what I eat. The lessons I've learned about healthy eating this year will truly help me later. A major topic that stuck with me throughout this year is that exercise isn't the one and only thing that helps you to lose weight and get fit; you have to have a healthy diet to actually see and receive results. I had already started making changes in my healthy habits when coming into this year, but I learned several new exercises and many delicious recipes due to the Healthy Cowboy Challenge. I have also worked out a lot more, but that was one of my goals coming into 2013. I have shared many exercise and recipes with my parents and a few friends who have wanted to get healthier. One of my friends, especially, who has been trying to get healthier with me, has definitely seen a change in their overall health with weight loss and a healthier diet. This year I have participated in several challenges and I am proud to say that I am an overall healthier person. I actually eat fruit now. Yay! I also have learned that most of the food I was eating before wasn't actually real... I also tried to help my family eat better and it made everyone happier. This class made me realize how important it is to be healthy and it will definitely stick with me for a while. Hopefully. The major topic that has stuck with me is that there are so many bad things that have been put into fast food. Based on what I have learned, I have been able to further appreciate healthy foods and eat them more often. At the dinner table, I sometimes talk about the things I have learned about food with my family. I think sharing this information with my family has helped us become a healthier family. This class has really shown me that you need to be careful about what you eat and that exercise is crucial to living a long and happy life. This past year in anatomy I learned a lot about the way starting a new healthy lifestyle works. I thought that the Healthy Cowboy Challenge was a great way to learn about how this lifestyle works. This year, I have learned to add more diversity to the physical activities that you usually do. Based on this, I have added different activities to the exercise that that i regularly get, which is solely swimming. I stared doing other things, such as running, and other cardio exercises. I decided to share this information with my family, and I hope that them knowing this will help them go have a healthier lifestyle. This year I was greatly informed on how and what to eat to life a healthy lifestyle. Because of my prior knowledge of what and how to excersize to life a healthy life, I found it beneficial to learn what I should eat and how. I am not usually extremely conscious of what eat, sometimes I am, but learning of the short term and long term effects of poor nutrition, it has made me aware of not only how, but why I should eat to life a healthy lifestyle. Well at the beginning of the year I was carrying 100 lbs of fat on my body, and ever since I have begun taking anatomy, I’ve grown a great interest in taking care and nourishing my body the right way. Anatomy has taught me that you need to realize what we put in our bodies, because there are many unnatural substances that we put into our bodies every that many of us don’t know about. Anatomy has made change my lifestyle for the good by no longer putting chemicals in me and forcing my body to adapt to the unnatural world we’ve come to be. Because that will eventually cause harm in some sort of way. Through my healthy decisions, I have persuaded many that are around me, to take a second thought of what they’re putting in their bodies, and does it have any nutritional value. I’m very open to showing my healthy habits, but usually it won’t impact others too much because most people’s priorities are out of wack, and thats another thing anatomy has made me realize, my body is a temple and my body is the one that keeps me going everyday, so i’m going to treat the best invention god made with utter respect and love. Towards the end of anatomy, my knowledge and hard work has paid of and those 100lbs of fat shredded off throughout the year! Through out the year we went over many topics about making our life style healthier. One of the topic that struck me the most is about how fast food is processed. I used to eat fast food quite a lot but when in class we talked about the process of making fast food and how there are unhealthy chemicals added to it that could have negative affects on our body and when we doing the design lab i further learned about the how food are processed and preserved.Before i took this class i never really cared about what i ate. I had a very unhealthy diet.I knew that fast food was not that healthy but i didn't know that unhealthy but after all the research and discussions in class it made me realize that i needed to change my diet so i did.Now i don't eat fast food as much as i did before and i have started to drink more water.Now i try to find healthy alternatives for snacks instead of junk food.I have even started to look at the nutritional facts before eating anything its something i never used to do before.The other thing i changed is my sleeping habits before i used to sleep 4-5 hours a day but now i try to sleep atleast 7 hours a day.I talked to my family about the pink slim McDonald used to make their burgers and how their fires are fried in cow fat. I talked about preservative and fats found in fast food are really bad for our health.I think this impacted their wellness a lot because my family we don't eat as much fast food as we did before and we now have started to eat more fruits and vegetables. Through out the year the main things that stuck with me through out the year were the amount of sugar in sodas and how fast food is made. Before I took anatomy I could drink 3 sodas a day. After I have learned how much sugar is in soda and how there are acids in soda I have limited the amount of sodas I drink. More importantly I have stuck to drinking water which keeps me more hydrated. When it comes to fast food I'm a big fan, but when we saw how McDonald's makes their food, I was repelled to go. Since I live with my mom and we eat our meals together I was sure to tell her all the harm from eating fast food and drinking sodas. We have focused on making more home meals and less trips to fast food joints. This class has impacted my family and I for a better and hope to stay healthy. This year I realized just how out of shape I have become. I used to do very well in cross country and swimming but when I quit to make more time for school work, the lack of exercise along with more stress from AP classes and less sleep, my overall health went down hill quickly. I recognize that I need more sleep than I get and I understand how foods that seem healthy are truly unhealthy. It has made me more conscious of what are the contents of any one food item before consumption. Although I have been unsuccessful this school year because my priorities have been to get better grades in AP classes, study for AP exams, extra curricular activities, and a job that don't allow me to get home until 7 ever night, the summer is going to be different. My diet has been altered over the year for a more healthy approach. The summer will be consist of being truly healthy -- excise and a proper diet. I've shared almost all the healthy living information with my mother and she has already made a change. She cooks more frequently and gets up early to exercise almost ever day of the week. The topic that stuck with me most this year was the nutrition unit. It motivated me to go to the farmers market to buy healthy, fresh, and organic food rather than buying processed snacks at the grocery store. I went once so I could complete the blog but I have already gone back a few times to purchase all sorts of produce. The main change I have made based on what I learned in anatomy this year is my diet. The Healthy Cowboy Challenge motivated me to start trying new recipes and foods that have tons of benefits. I have shared many of these health tips with my family and we have also gone to the farmers market to buy products that we can incorporate into our meals. When I think back throughout this past school year, I am simply amazed at all the healthy habits that I have picked up. From eating healthier to varying my exercises to stay fit, I have honestly learned and adapted so much. I think what really revolutionized my health was the change I made in my diet. I have always exercise regularly ( at least an hour to an hour and a half for five days a week with cardio included) but I haven't always had a healthy diet. I (like most other teenagers) was enticed by fast foods, processed foods, fatty snacks, and the whole lot of unhealthy meals. I thought that by just maintaining a good workout plan, I was doing my fair share of staying healthy. Little did I know I was wrong. It wasn't until I I got into this class that I realized that regardless of the exercise I do, dieting plays a hefty impact on my health. I felt really concerned so I decided to challenge myself with many of the dieting challenges on the blog. From cutting out processed foods to increasing the servings a day that I eat fresh fruit, I slowly began to revamp my diet. Not only did I make the change, but I began to feel it as well. I felt more energized and focused after a few weeks of adhering to the diet. Before I changed, I was almost always tired by mid-day and always felt the need to eat candy or some sort of sweet to give me an extra boost. I don't feel that now and I have to admit that is a great feeling. The changes I made for me have also affected people around me as well. For one, my mother saw how I was serious about changing my habits and she, too, began to change her diet. She began to buy more fresh fruit, count the calories she consumed and even increased her exercise. Overall, the experience from this class has been positively liberating. I now value my health a lot more than I had ever had before. I plan to keep to my new found diet as I leave high school and head on to college. I hope to keep this for the rest of my life as well. I'd say this reinforced some of the things my parents have told me over the years as far as diet and exercise are concerned. Plain and simple I do not get enough green leafy vegetables. I eat a ton of carbs and a healthy amount of protein. It was something I had to do when I was playing sports. But since then my life style has slowed down and I have gone back to eating reasonable portion sizes. It’s much more comfortable for half your carbs to come from vegetables when you don’t have to get some odd 3000 in. So hopefully even as I head off to college I'll be able to maintain a much healthier lifestyle. I havent had much of an opportunity to share this information but I suspects that will change as I head off to college. I have always been fascinated with the way our culture lives compared to how our bodies are meant to live. We are made to hunt and work hard physically, and instead we stay inside and our served on a silver platter working at our desks. We have become very lazy, myself included. After starting to learn about the systems inside our bodies and figuring out that the food we usually are eating has no beneficial nutrition for our then, I started to think about what I put in my mouth. I realized that fruits, veggies, and raw nuts were the best thing that we could be feeding ourselves. The blog where we were challenged to eat the right amount of fruits and veggies was what really got me going. I felt great and could tell that my body was actually being energized. I have slowly started to gain healthy habits since then. I eat more of a fruit and veggie based diet and it gives me more energy to work out and stay active longer after school. I try to inform my family of these healthy habits, but they are pretty stubborn, because none of them have health problems.....yet. I hope that being open about my diet and daily habits can inspire others to want to better their lives, and become the best they can be! The topic that stuck with me the most in regards to a healthy lifestyle was the nutrition unit, which showed me a lot about the different types of harmful foods as well as many that are good for you. I learned about how our body processes different chemicals and ingredients and the unit opened my eyes to some of the harms of foods that are home cooked, not even to mention fast food. The biggest change i've made is limiting both my fast food and soda intake to avoid many of those unhealthy things, but i havent yet cut them out of my diet completely. I share information i learn with my family and have helped my step-mother decide what to cook based on healthier choices, something i think has benefited my entire family. Throughout the year, we have covered alot of topics and how types of food are helpful and/or hurtful towards certain body systems. One topic that really stuck out to me was how bad that soda and other drinks are harmful for your body. That in fact, one 8oz soda has more than the recommended amount of sodium. I wouldn't have realized how bad soda is for your body, and although I am not an avid soda drinker, it makes you think twice about just drinking soda. Another thing that stuck out to was, how simple things, such as a 30 minute walk, can make a great change in your life. I have shared this information with my parents, and both of them have started working out and going on walks, and they not only feel healthier, but look healthier too. By learning all the wonderful things, I have become more aware of the effects bad food as on your body as whole, and think twice before eating a cheese burger or some fries. A salad, or vegetables is a much better choice, and I now know why. This year, it has been interesting to learn how to maintain a healthy lifestyle in many aspects and actually applying those things. The thing that has stuck with me the most is eating the right amount of fruits and veggies each day. This makes me feel healthier and I tend to eat them as snacks instead of processed foods. Another thing that I haven't maintained as well is getting at least eight hours of sleep each night. I hope to get back in the habit of this because I always feel better, happier, and more energized when I get the right amount of sleep. Even if I haven't done a great job of continuing all of these challenges, I hope to continually have goals for myself so that I can strive to be more and more healthy. I've shared the information I have learned with my family and we have made several changes such as the food we keep in our house and the amount we work out. Just learning about how the body works this year has made me more aware of how important it is to keep by body healthy so that it can function properly. Without a routine in the summer it can be easier to slack off with some of these healthy habits, but my goal is to work on each of the things I have learned this year so that I can stay healthy and keep it up through college. I have always been a relatively healthy person, mostly because I go crazy if I don't stay active. I have never really payed close attention to the weird ingredients in food that you buy, though. Whenever we made the info graphic based on a popular food (we made ours on a smoothie, which is supposed to be healthy), it really brought to my attention that so many foods that you buy in the store or in restaurants are so unnecessarily bad for you. The McDonald's oatmeal took something that is supposed to be so good for you but it was infused with so many ingredients that it became unhealthy. Because of this, I am much more likely to just eat at home than go out. If I eat out more than once a day, I feel disgusting and would rather just make a sandwich at home. In general, I only like eating out a few times a week. This really only applies to the weekends anyways. I had a specific experience when I was sharing this information with someone because they were eating Trolli gummy worms and I told them that they were basically eating chemicals of a food made by a chemist. The gummy worms are purely HFCS and gelatin and whenever I eat them I am fully aware of it. That doesn't always stop me from eating them, but I would never eat a whole bag. Overall, I am much more aware of the chemicals, processed foods, and just general crud that I shouldn't be putting into my body. One thing that stuck to me through out the semesters were my eating habits and learning about certain ingredients and what they really are. One thing I changed was my diet. I do not eat as much junk food and I have even cut out soda due to what I learned about the ingredients in it and what it does to the body. I've told my family stuff that I have learned this year and what I have done to help my body and I told them about me trying to live a healthier lifestyle. I have impacted some family members from telling them what I have learned and they are trying to be healthier too. I have learned a lot in this class and I'm going to carry the information I learned with me outside of high school. I have learned so much from this class through out the year. Topics such as nutrition and fitness have stuck with me the most. As we did the Healthy Cowboy Challenge, I learned a lot more about nutrition and fitness and how to incorporate the healthy lifestyle that we were encouraging for our clients into my own life. For the past couple of years, I have been trying to eat healthy but the things I thought were healthy really were not all that healthy. There are so many processed foods out there that I ate, but now I actually look at all the ingredients and make a decision whether or not I should be putting those things into my body. Based on the discussions in class, I have made many changes in my eating habits and choose to eat more organic foods and healthier options for snacks. This year, my parents actually started working out and got a gym membership and they work out everyday now. I shared information about nutrition and working out and they make sure to keep a good diet. Everytime my dad goes out to the store, he makes sure to get all organic foods. I have learned a lot from this class, and because of the information I have learned, it has impacted my well being, and also the well being of my family as we choose to live a healthier lifestyle. Now that we are at the end of the year, I feel that this class has impacted me a lot on what to eat and how to maintain a healthy lifestyle. I have also learned how the body works and how each system works together to maintain homeostasis. This makes me more cautious of what to eat, when to exercise, and how to be healthy. I have definitely told my family about the being healthier and how that benefits us in the long run. I feel like it impacted them because now my mom likes to buy organic foods and we eat healthier at home. I feel like this has really affected me because changing my eating habits will change my health for the rest of my life. Throughout the school year, I learned a great deal of health tips, that will benefit me through life. One thing that impacted me was the different nutrition facts that were found in fast food, and also where some of them came from. I never once though about the ingredients that goes into what I eat except if its home cooked. So seeing the what really goes into fats food, and the chemicals found present was very impacting. Because of what I learned from that, I now eat healthier and fresh food as oppose to fast food. I also check calories, sodium intake, and other import health facts labeled on the food item to make sure that I am not going over the recommended daily diet intake. Also eating healthy has giving me more energy than I had before, so I will be sticking to the health enthusiast plan. I defiantly shared this info I learned with my family, and they have also changed their diet along with me. Though at some times we go out and get fast food, but we do think about what we are eating and try to pick the healthiest item on the menu, even though its all bad. But my family did take my advice that I learned and each day their diet is getting better and healthier. I don’t necessarily have any blog topics that stuck with me other than just the overall eat healthier idea but I really learned most from the Healthy Cowboy Challenge. That project really taught me a lot about all the healthy foods out there that can taste just as good as the not so good for you foods. I will continue to keep that experience with me and take it to college with me. I have already shared new food ideas with my family and I plan on sharing the ideas with my roommates. There really hasn’t been enough time to see an impact yet on my family because it is a new thing we just started but I do see positive results in the near future. This year, I have been a lot more aware of the food going into my body and how I've been eating and exercising. My mom has been extremely health conscious for a few years and I've always ignored her nagging and suggestions but after studying all the body's systems and the Healthy Cowboy Challenge, I've been much more conscious of my health and my lifestyle habits. I have been trying to avoid fast food and eat healthily. I have also started exercising and noticed a difference in my sleeping habits and alertness during the day. What I learned in class this year has made me change my life and hopefully led me to a better quality of life. This year what really stuck with me is what the New Zealand students had to say about the American culture and the way we consume food. After reading their comments, I began to analyze what makes us eat so much unhealthy food, and realized that I was doing exactly what they were saying in my own life. I have decided to make healthier eating choices for now on. Agter the Healthy Cowboy challenge, I realized that once I go to college, I am on my own and I need to start making healthy eating choices now. This class had taught me that I need to take into account the Amount of calories, and fats I consume, and to restrict the amount of times that I get fast food. I have passed some of this information on to may family, and we are b eginning to eat healthier food options at home now rather than going out to eat so often. One of the major topics that has stuck with me this year is nutrition. I have made the decision to eat out less and be more conscious of what is in the food that I eat. I learned a lot about what is actually in food and how they put artificial components in the food that may ultimately be detrimental to my health down the road. This will be especially useful when I go off to college next year and am forced to make healthy decisions when it comes to food when a home cooked meal isn’t an option on a daily basis. Being able to apply my knowledge in projects and see them actual work motivated me to make these changes in my own life. For example seeing how diet can make a huge difference in energy level and weight in healthy cowboy challenge after learning about all the negative effects of preservatives in class makes me believe that limiting those foods in my own diet may be beneficial. I’ve talked to my little sister about this, she use to opt for unhealthy snacks and now we both eat more fruits and vegetables and have cut out a substantial portion of unhealthy food in our diets. The thing that stuck with me the most was the healthy eating. At the beginning of the year I was not eating very well at all, I didn't care what I ate, but as the year progressed and I invevitably gained weight. When we started working on Healthy Cowboy Challenge I decided to start eating right and work out more often. I feel so much healthy and my over all feeling of wellness has improved drastically, it has even helped with my insomnia. As soon as I started eating healthier I encouraged my family to do the same and they did! We started buying more fruits and vegetables, whole grain pastas, and making healthier snack choices. I also got my boyfriend to start eating better, he was way worse than I was. Since then he has lost 17 pounds. This thing that has stuck with me this year has been healthy cowboy challenge. I found a lot of little way to be healthier and live a better life. It encouraged me to make little changes in my food intake and my veggie intake. I have lunch right after this class so I would always go tell them all the gross stuff I learned in this class. I'm not sure if it caused them to change their eating habits but at least they know! Also that experiment that was done with the protein in McDonald's breakfast. It made curious about the other food places like this. There have been many different systems that have stuck with me, but what probably had the most impact on my life has to be the overall human body with all of the functions working together to sustain life. This has been a motivation for helping others in my life who have difficulties and problems. By reminding them and giving them simple tips of information about other systems that coexist in the body their pains are diminished and homeostasis can be kept with much less energy and aid from other systems. I know for a fact that I have stopped liking fast foods. I just can't eat them now without thinking of all the consequences that are a by-product of eating such unhealthy food. My diet has more fruits and vegetables in it than it ever has had before. I have shared this new found information with my family and they have been healthy and happy. We have more healthy and homemade dinners than ever, there hasn't been a non-homemade meal made in such a long time and there are healthy people who appreciate that fact. I have to say that this year has been an interesting one and I will never forget what it has done for my life. Throught the year, my transition to antomy helped me learn how to eat healthier and become more active. The healthy cowboy challenge helped me plan a healthy food and exercise plan that could help my daily life on a regular basises. Allthough I have lived a healthy lifestyle throught my life, I have been able to inspire others to become healthy and active with the information I obtained from this class. I have been able to get my family to switch all of our food produces in our home to organic foods and only shopping at organic stores such as sprouts. This class has also taught me how to collect my own data to make sure I am recieving a good amount of calories and nutrtients each day. I have learned how to measure a persons waste, how to collect there water intake, how to measure blood pressure and heart rate which will all be very useful for me in the long run. Overall, the last 5 months in anatomy has helped me learn how to take better care of myself and whats inside my body. It has helped me learn how what I put into my body affects me more than I would think so. After this I will continue to eat healthy and to also exercise actively and continue to spread the message to my fellow classmates and friends. I feel like the main thing that I have learned this year is how unhealthy fast food really is. I have definitely changed my diet since taking part in this class. I eat alot less fast food now and find myself making my own meals to try and be healthier. But I love you Mrs. Deinhammer! You really made this class fun and entertaining. I'm not exactly fond of science and health, but I learned a lot about how to be healthy. The most striking and interesting concept I learned from this class was probably nutrition and how food is absorbed into the body and the chemical reactions that occur. I have begun to eat healthier and stick with complex carbs for more energy. I'm now full of useful facts and information even though I may not use any of it in life. Thank you for making this class fun! Throughout this school year I have actually seen how important it is to watch what you eat and drink. From doing the Bone Lab to Healthy Cowboy Challenge, I’ve seen how positively impactful a healthy lifestyle can be. I think I have been more conscious about what I eat and drink, especially now that I feel the need to check what is in everything I eat/drink. I have shared little facts I learn about things to my friends when they decide what to eat (ex: how harmful aspartame can be) and I think sometimes they actually remember them, but other times I think they could care less. Overall I think that I made a tiny impact in their lives and overall well being but probably not enough to make a major change. I have really made an effort to eat healthy after our Healthy Cowboy Challenge project this year. When researching about the different foods we should and should not eat and also learning the proper amounts of daily nutrients we should intake everyday made me more conscious of the food I would put into my body. Being an athlete I should eat healthy but because I work out everyday I had become accustomed to being able to eat whatever I wanted with what seemed like no repercussions. After I started eating better though I felt more energetic and I just felt clean. Now my family and I all try to eat healthy and we use substitutes for our favorite foods for example instead of mashed potatoes we make mashed cauliflower. This project opened my eyes to the benefits of eating healthy that I passed to my family and as a result we all are conscious of the food we eat. This year has really opened my eyes to all the bad food that is out there. To live a healthy lifestyle you have to pay really close attention to the ingredients of everything you eat. Another really important factor to being healthy is exercise. You can not expect to be healthy and not exercise. I think the Healthy Cowboy Challenge really helped me realize this. I am not the healthiest person out there. I generally eat whatever I want whenever I want and I think going through the Healthy Cowboy challenge enlightened me to the consequences of living that way. I am now eating healthier than I was and hopefully I will be able to keep it up. Something that really stuck with me was the fruit and vegetable challenge on one of the previous blogs, it forced me to really see the proper amounts we are supposed to consume daily. It gave me a good sense of perspective on the amounts of fruits and vegetables I’ve been eating sense the challenge, it showed me that although I do eat fruit everyday I’m not even beginning to put a dent in the proper amount of nutrients my body needs to function at its highest potential. I wouldn't say I’ve made any massive changes in my habits as far as eating is concerned. One of the most noticeable things for me is my fast food consumption, I've worked harder to make better choices when I do go out to eat, I’ve also worked on my water intake. In doing the healthy cowboy challenge I learned how important it really is to drink a large amount of water everyday. I haven't shared this information with many people, but I know my group and myself as an individual have impacted the life of our HHC client (DE). We informed her even further on the benefits of vegetables, whole-wheat options, and drinking more water than any other drink. I believe that this information and more will stay with her and help her make choices that will impact her overall health in the future. Things can actually be done. It also helped me maintain a more consistent sleep pattern. All in all this year really helped me become healthier. Throughout the year, the I got little bits of each thing we learned. The most important one to me, would have to be the healthy cowboy challenge. This is mainly because I learned how important it is to mix diet and exercise to maintain a healthy lifestyle. I am definitely more cautious about the fast food places I go to when I go to eat at them. I know which ones have a worse affect on your body, some more than others, which is why I stay away from the really bad ones. I have told lots of people about what I've learned through the healthy cowboy challenge, from my family to friends that are college athletes. It definitely changed their perspective on their diet and exercise life. They realized how bad processed foods are, and how much of their daily intake they're getting when they goto certain fast food places. I am so thank ful to learn all of the things that I have, mainly because it'll make me have a healthier lifestyle. One of the things that stuck with me this year was about nutrition intake. After some things we have talked over in classroom. I remember us comparing different fast food restaurants menus and decided which one was the worst. To no surprise it was McDonald's. I had goal in the beginning of the year to get slim and so it has not worked on my favor because my nutrition and my diet were very poor. There were some good weeks and bad weeks for me. I thought getting slim was just to do exercise, but I never thought that nutrition played a huge part in my goal (getting slim). I was still seeing no results even though I was working out, not until I found out that I have to watch my nutrition. Learning about few unknown things nutrition changed my habitat. I stopped drinking soda, eating chips and stopped going to fast food restaurants every week! Every since I have controlled my nutrition and diet I lost couple of pounds and getting where I want to be. I had an acne breakout when I was eating greasy food, but it stopped when I stayed away from it. Also in the beginning of the year my mom was trying to lose weight. She is just like me; she is active and workouts everyday. But it was getting worse for her; she was close to a weight being of obese! Every since I started sharing my experiences and how to choose daily nutrition, she had felt better. She saw some changes in her body and is stilling her work. I was happy with slight change I have made in my mom’s life. It really helped her and it made her feel proud of me for paying attention in class! Over the year I have learned the importance of maintaining a healthy lifestyle. I've learned the proper food to eat, like fruit and vegetables and how much food you should be taking in. After learning about maintaining a healthy lifestyle, it has encouraged me to become healthy, to eat right and exersise. This year I have tried to make it a habit to workout everyday and to not eat as much junk food. I now enjoy running since I do it so often which is definitely something new. I have told my close friends about having a healthy lifestyle and they have been excessing with me, so we can keep each other in shape. One of the things that stuck with me that we learned about in class this year was about nutrition intake that we take in while we eat our food that we supposedly think is good for us to consume. I remember us comparing different fast food restaurants menus and decided which one was the worst, and while we worked on our HCC project I remember looking over a few of the books that were available that compared types of fast foods and if they were actually good or bad for you, most were bad obviously. I had goal in the beginning of the year to maintain my slimness that I gathered over the summer. I thought that keeping the current slimness would be easy, but with all the nutritional information I had learned it actually is a lot harder than most people would believe due to all the stuff in our food that we consume, but I'm still pretty slim so I guess I was able to maintain it. I shared the information with my dad and my sister, which to my surprise, my dad seemed to already know a lot about nutrition so it didn't really help him that much, my sister was shocked though, and is now watching as to what she consumes that is fast food! I have always been pretty healthy, other than fast food here and there. This year I have learned a lot about the body and how bad some foods can be. I have learned what certain things can do to certain organs in your body so it has made me much more self conscious about what I consume and what activities I do. One big thing from this year that I learned a lot was from the healthy cowboy challenge and how to obtain a goal weight through your diet. Whether you want to loose weight or gain weight it has to be through your diet because that is what will fuel your body either way and is the healthiest compared to the other quick fix techniques. I have drank less sodas and eaten less junk foods, replaced with water and healthier foods. I have had my mom cook dinner for us more often to get that more natural, healthier meal which I feel has helped a lot. I have shared some of the information from this year with my family and I feel like we are all trying to help each other be healthier now. With the home cooked meals and more exercise/working out, we push each other. Especially my sister and I, it is actually a good thing cause it helps both of us stay on track and remain to be healthy. I have always been a healthy person but this year after going over numerous of healthy options and tips I have discovered there needed to be a few changes to be diet. One topic we discussed that particularly stuck out to me was soda. I used to be a pretty big soda drinker but have found myself not drinking soda nearly as much because of how bad it is for you. Now knowing that one soda has more than the recommended daily amount of sodium and how bad it is for your teeth, wearing away at your enamel because of how acidic it is, made me quit sodas almost in general. Another topic that stuck out to me is how bad fast food is for you and the impact it has had on our country. I never really thought much about it... i knew it was bad but never really concerned myself with it until Anatomy this year, when I realized how gross and the really bad effects it has on you. In all Anatomy has taught me a lot this year about how to be healthier and have shared these healthy tips with family and friends in order to help them live an healthier lifestyle. A topic that we went over in class that will really stick with throughout my life is staying active and eating healthy on my own. I am already active enough during the year with hockey but when it comes to offseason, I have never been good at working out and staying in good shape on my own. This year, I have really gotten myself to go to the gym on my days off of hockey on a regular basis. If I keep going to the gym regularly, then the transition back to the season will be much easier because I will already be in shape. Eating healthy is something that I am already pretty good about. I feel like the topic of staying active is something that a lot of people take seriously judging by the number of people I know when I go to the gym. I usually see the same people that I know at the gym everyday so at least those people take this topic seriously. Having an active and healthy lifestyle will allow you to live a happier, more energetic life. One topic that we studied and discussed in class for an extended period of time was nutrition. The information that I learned about health, food, and exercise really helped me understand how the bad choices I make are effecting my body physically and internally in a truly detrimental manner. A huge impact was made on me during the course of this topic discussion ultimately encouraging me to make a change and live a healthier lifestyle. I have begun to exercise on a regular basis and have tried to make healthier eating choices. This class proved to be very interesting and I have and will continue to share the facts I gained with others. I have always tried to be a healthy person because I play golf but this year when we were working on the healthy cowboy challenge it really hit me how unhealthy I am. We talked about sodas through this project and I would drink sodas every time we went out to dinner but now I have mad it a habit of ordering water and drinking more of it. Also we talked about everything that is in fast food and what it could do to your body if you continuously eat it. Anatomy has taught me many things on how to make my body healthier and what different things in foods can do to it. Not many topics stuck with me other than the importance of studying for quizes and tests, doing the test reviews, and trying to get bonus points. I found the heart unit interesting. I have made one change that I can think of. I used to drink a can of soda a day. I still drink a lot of soda, but not everyday. I have told my dad that I am trying to not drink as much sugar. This did not make much of an impact because my dad already thought sugary drinks aren't healthy. Also, I have been trying to get more exercise and spend more time outside. Though I was not the participant, I was impacted the most by the Healthy Cowboy Challenge. This section of the nutrition unit had the greatest impact, because I saw it lived out. I witnessed the effect that healthy diets have on your health. My teacher was not a fan of working out. I had always had preconceived notions that exercise was the only way to lose weight. However, witnessing my teacher's success after only adjusting her diet, my opinion changed. Though exercise is very important, it is only a part of the entire process of maintaining a healthy lifestyle. My entire family has made conscious efforts this semester to orchestrate more sit down meals with each other all week long. This has caused us to eat smaller portions and healthier choices. I've always considered myself to be a healthy person, and after going through the healthy cowboy challenge and all of the other things about nutrition, I learned that I do have some unhealthy habits. I have a lot of bread which I learned is not very good for you. Also, I learned about how once a fat cell is created, it never leaves, it just shrinks. That stuck with me and caused me to try to eat less sweets and fatty foods. I also remember that day we went through all of the gross things people add to processed foods and I shared that with a lot of people, including my dad who likes the "chili" from Wendy's. A healthy habit that I do have is that the drink I have the most is water. I also really like tea, so I will have that sometimes, but tea is actually pretty good for you so I don't feel bad about drinking it. What has really stuck with me during this year is that many of my diet habits and exercise habits have ill effects on my health. I have stopped going to fast food restaurants more than once a week because the research I did for the Healthy Cowboy Challenge opened my eyes to great healthy alternatives. I have told my parents about what I have learned in this regard, and they have also made these same changes. My parents and I have been feeling better about our diet choices and have felt that we have had more energy throughout the day. I think that the topic during Healthy Cowboy Challenge are the ones that stuck with me the most. Seeing our candidate lose weight by just making healthier food choices and going from a sedentary lifestyle to working out regularly and the positive effects that it had on not just his weight but his overall health were really interesting to see first hand. Since we were the ones documenting their change, we got to the the gradual change that our candidate underwent. I have started to adopt the good eating habits as well along with my normal workouts in order to lead a healthier lifestyle. This year has taught me to be more aware of my eating habits as well as what activities I put my body through. I have become more conscious of eating processed foods and only drinking water. Most importantly, I have tried to eat a more balanced diet and stray away from junk food. I really enjoyed the case studies we went through because I learned much about the different body systems and side effects that result from certain systems shutting down. In the future I feel that I would be more equipped to handle dire situations and want to know more about medicine and biology. The most intriguing thing from the year was the idea of organ printing. It is incredible that modern medicine allows the production of living tissue that results in organs outside of the body. Much of this I have shared with my family and friends to get them as excited about science as I was. The Healthy Cowboy Challenge taught me that there is much more to being healthy and losing weight than numbers and scales. I feel that I positively impacted my client’s life and habits as well as my own approach to a healthy lifestyle. The major thing that stuck with me was the chicken bone lab that we did with the elementary school kids. Because of this lab, I have made a much greater effort when it comes to choosing healthier beverages. Just because a drink has fruit on the label doesn't mean it's healthy. More often than not, such products are loaded with sugar and aren't very good for you. I intend to share this information to others, but haven't done so yet. Mrs. Deinhammer really emphasizes health in terms of living and diet. The amount that she had emphasized actually got to me and helped me become more aware of my health and diet . Every time I eat something, I would think what proportion of Carbs, Proteins, and Sugars are in it. I have started to take more jogs outside and started working out more. All of the real life things we have done in this class such as the dissections and the case studies that were very intriguing and provided a new look on this class. The two things I would share with other people is how chicken nuggets look like before they are finished as well as explaining the importance of proteins in the diet. One of the main health related things that I've taken away from class this year is realizing just how unhealthy fast food really is. IT'S ALARMING! I mean how messed up do these companies have to be by giving Americans such trash to eat. Do they have no pride? They're just greedy, as well as ethic-less. They use literally the CHEAPEST ingredients, whether it be "red beetle shell" or "pink slim", so long as it's cheap then they'll use it. It's ironic because McDonalds started out as a family owned restaurant that sold tasty hamburgers to their loving customers, why they changed you ask? Money, that is what twisted and contorted them into what they are today. I can't tell you how much I inform people to avoid that place for their well being. There's so much wrong that it's hard to find the rights... It's kinda sad. A major topic that really stuck with me, is what can be found in processed foods. I definitely look at all the ingredients in anything I eat now just to make sure I'm not eating anything like pink foam or sawdust. I try to eat healthier than i did before, and i exercise more. I have shared this information with my parents and they are much more aware of how they eat now as well. I think i have them one step closer to a healthier life style. Surprisingly, with all of the stress that senior year brings, my diet has improved drastically this year. The activities that affected me the most were the Healthy Cowboy Challenge and the several dissections we performed. The Healthy Cowboy Challenge dismissed many of the myths that clouded my judgment when it came to what I should and shouldn’t eat. I stopped looking at counting calories as a negative thing and instead saw it as what are all the new, healthy things I can have. The dissections we performed showed me where fat resides on the body. It was eye opening for me to see that the “rolls” (that we joke about) that we have on our body actually compress our vital organs making it more difficult for them to work. The biggest change I have made in my lifestyle choices is thinking twice before I eat something. One of the major topics my HCC group worked on with our client was helping her gauge her hunger, to see if she was actually hungry or just bored. I feel as though I have shared my newly learned knowledge with family. I have a say in what we eat for dinner now so I can make sure we have at least one healthy item in the meal. I have always wanted to stop drinking soda but I could only go for a few days and then I would give in because of a caffeine headache. My partner and I did a lab on the effects of soda on your liver. I have been disgusted with soda ever since. I never knew that soda could destroy liver as much as it did. During a lecture I learned that fat cells can`t be destroyed ever. This made me very observant to the foods that i picked. I cut down on a lot of fatty foods and carbs including bread. While doing the healthy cowboy challenge I shared the meal plans with my parents and my families overall health has changed for the better. After sharing the different things I have learned in this class with my father he chose to do a low carb diet and has lost a ton of weight. One of the major topics that has stuck with me this year is nutrition. I have made the decision to eat less and be more conscious of what food that I eat. I learned a lot about what is actually in food and how they put artificial components in the food that may be detrimental to my health down the road. This will be especially useful when I go off to college next year and am forced to make healthy decisions when it comes to food when a home cooked meal isn’t an option. Being able to apply my knowledge in projects and see them actual work motivated me to make these changes in my own life. For example seeing how diet can make a huge difference in energy level and weight in healthy cowboy challenge after learning about all the negative effects of preservatives in class makes me believe that limiting those foods in my own diet may be beneficial. I’ve talked to my little sister about this, she use to opt for unhealthy snacks and now we both eat more fruits and vegetables and have cut out a substantial portion of unhealthy food in our diets. Ive learned many things about obesity and healthy choices to have a prosperous life. One thing that really stuck with me to make healthy choices is to have portion control in my eating. This whole year my whole lifestyle was based off of food, between wrestling and for track i had to lose and gain serious weight through out the year but now sports are over and I've ate with portion control through out my meals to maintain a healthy life style. I shared this information with my parents mainly because I'm so focused on exercise that my parents wanted some tips to lose some weight. I told them that portion control and little exercise is the key to losing weight. Now I'm at the point were that i wanna gain muscle mass so I'm kinda of avoiding portion control and so far everything is working out for me I've lost good amount of body fat and I'm improving in all my sports with my new diet plan. I'm very pleased with all that i learned this year and ill keep using the information i learned to keep up a healthy lifestyle. The healthy cowboy challenge stuck with me. I've improved on my diet, exercise, and overall wellness by learning about the body and even seeing graphic images from time to time and that helped with the reality of the things most Americans take lightly. Like fast food and how horrible it really is for our health and body. I have completely cut those out of my diet and haven't eaten it in months, it's just so disgusting. I have shared the information and I think it helped for about a week with my friends, but I guess they'll just have to take this class! I was already an active and healthy person but I wasn't as cautious, hopefully this stays with me through the rest of high school, at least. One thing I've made a habit of is checking ingredients and nutritional labels, because I remember learning from you that what matters most are the first few ingredients. The Healthy Cowboy Challenge gave me a lot of new ideas for nutrition. I typically am a healthy eater, but sometimes you give into those cravings :) I have eaten out less because of all the slideshows that were presented in class about what those foods are made out of. After discussing processed food in class, I noticed that I did eat a bag of chips or Goldfish a lot, and I have cut down eating those types of foods. The time we talked about the fact that trans fat can never be burnt off really stuck with me. I was so shocked by that and i look at the nutrition labels closer now, looking at the trans fat. The case studies were always interesting to me. I felt like the real life examples really grabbed my attention and made me want to learn more and understand everything that was going on. Since I want to be a veterinarian I'm really glad I took this class. I know more about the body systems and how the work together. Even though I want to work with animals, the human body is similar and I have learned so much this year that will stick with me through college. While I hated Healthy Cowboy Challenge, the research and information that went along with the project were benefitial to me and have stuck with me more than any other unit of the year. The first hand impact of one's nutrition and fitness choices made it the unit that I enjoyed the most. While understanding the fuctions of the heart and kidneys was interesting, the information didn't appear to be as applicable as learning about healthy nutrition and workout choices. I haven't really changed any habits because of the information learned, but that's just because I was active and ate relatively clean before this class, although hearing about the positive benefits of these actions provided a good reenforcement to maintain a healthy lifestyle. I have shared this information with my parents, and it has resulted in our whole family working to live a healthy lifestyle daily rather than diet and return to a binge eating habit. Diet, nutrition, and exercise as a whole are topics that really stuck with me. Doing the Healthy Cowboy Challenge really opened my eyes to the fact that little changes really do make a difference. I don't like soda and I love water and I'm not overweight yet I don't workout very much, only when I have time which is probably once a month. I try to watch what I eat so that way I don't have to worry about losing weight later on down the road. I learned a lot of valuable tips while doing research for the Healthy Cowboy Challenge. I haven't really shared this information with others, there isn't much to share. I've suggested the My Fitness Pal app to other friends and talked about how important drinking the suggested amount of water is as well as how awful soda is. This year, I feel, has been a very productive one as far as developing my anatomy and physiology knowledge. With this new awareness, I have been further influenced to adapt healthier lifestyle choices and behaviors. Never before had I realized just how much our everyday consumption of foods and drinks affects our bodies. Something that really demonstrated this fact was our bone project at the beginning of the year. Just exposing the bone's exterior to certain foods for a number of hours showed significant reasons that we should more carefully choose what we intake and limiting those sodas that I enjoy so much! This year not only taught me the important steps to improve, but also showed me first hand that a change of old habits and the practice of new ones is possible- even to my adult HCC client- with a bit of hard work and dedication. She showed me that even though it seems impossible to reform our poor American food culture, one small sacrifice at a time, whether its meals or exercise, can yield much greater benefits. For her, over those few weeks, she lost 10 pounds. Perhaps the most important video I watched was the 23 and 1/2 hours. I think it is a really cool approach to get people to work out. It seems like so much of the time, society puts this activity at the bottom of the list because it's "oh so time consuming" or "your overweight and don't have to exercise." Truth is, that everyone, including myself needs to put in the tiny 30 min minimum daily. Over this year I've put in so much more time in to exercise the way I'm supposed to- even weekends- which were my greatest downfall. My lifesysyle has significantly changed this year. Alot of that has to do with what we have learned this year in anatomy. I leaned that consuming to much of something such as sodium or sugar can be very harmful to our bodies. Fast food clogs up arteries and is the oil in the fatst food can wreak havoc on our skin complexion. I have tried to not indulge in fast food too often this year and I can tell a big difference. I also learned how importanat it is to consume water. I have mat a major cut in my soda intake and I can really see a difference in how I feel. Anatomy has really helped me see how our body works and the steps we need to take to keep our bodies running properly. For me, I have definitely learned a lot about eating healthier and really knowing what's in your food. I've learned not to eat out as much because there is no way of knowing what is really in food. I try not to eat so many processed foods after learning about trans fat and other harmful additives in these foods. I think that the Healthy Cowboy Challenge helped me learn a ton about eating healthy and having a healthy lifestyle because I had the chance to see someone change their life in just twelve weeks. This project has encouraged me to begin exercising more regularly because having a certain routine makes it harder to skip out on important things, such as exercising. I've learned a ton from this class and I've definitely shared some of this knowledge with my family and friends. I hope to continue to improve my lifestyle even after this class is over. One of the major topics that stuck with me this year was the Healthy Cowboy Challenge Project and how you need both a heathy diet and exercise in order to live a healthy life. You can't just have one or the other, it needs to be both working together. Since we have done this project, I am trying to have a healthier lifestyle by getting more active and watching what I eat. I have shared this information with my family and while looking at recipes for my client I have found some really healthy and interesting ones that I want to try. My parents also want to have a healthier lifestyle and so I think we could work together and make ourselves accountable. They want to stick with the healthy plan, so it hasn't impacted them yet but I think it will. The Healthy Cowboy Challenge gave me a lot of new ideas for nutrition.This challenge allowed me to learn about a lot of healthy life choices that can improve the prosperity of my life.For example, I used to enjoy drinking soda in the summer because of its refreshing fizzed flavor, but now that I have learned the affects that soda can have on the human body I no longer drink it. What has struck me as the most appalling, though, is the contents of processed foods and their horrid effects on the body. Now I make sure to read the ingredients to what I eat thoroughly. I believe that I can use what I've learned to help teach my family and people I care about to live and love a healthier lifestyle. Nutrition and Fitness subjects have stuck out to me the most this year from the Healthy Cowboy Challenge. Before I became an instructor for the HCC, I was actually thinking about becoming a personal trainer when I grow up, so the HCC really gave me an inside look about what Fitness and Nutrition are all about. After completing many projects about different types of fast food products, I really saw how horrible fast food was that I’ve never seen before. I shared my knowledge with Coach Pehl, the head basketball coach of our high school, but hopefully he shows up on time to class for me to share it with him. Because of the nutrition unit i learned how to eat correctly in order to have a better healthier life style.While doing the HCC i realized so many new things that will stick with me, By looking into how fast food is processed and how it affects the body it made me realized that i needed to take control of my body. I also encouraged my parents and as a family we have tried to stop eating it as much. we now make healthy home meals 5 days a week and i started to drink up to 5 cups a water. Overall, i will continue to watch my eating habits and exercise more often. The major topics that stuck with me are positive sleeping habits, 23 and 1/2 hours, being knowledgeable about what enters my body, eating fruits and veggies, and drinking plenty of water. I am unsure of whether sleeping habits and 23 and 1/2 hours were part of spur, but these two also held my interest. Unfortunately, my sleeping habits have not changed and I continue to rest below the recommended number of hours. Exercising became part of my daily routine last year, but have since declined. However, I continue to try and squeeze in at least thirty minutes of exercising whenever I am not overwhelmed with assignments or feel I can make the squeeze. As for the latter three topics, the habits I adopted in regard to reinforced and new interests have an off and on again frequency in my life. I am knowledgeable about what I place in body in regard to the usual say no to fast food and stick to what is fresh. Though processed foods are not as healthy as fresh foods, I more frequently eat frozen foods than home cooked meals, but frozen steamed veggies, macaroni and cheese and broccoli, broccoli and cheese, and peas are common picks. Fruits and veggies have never been on the dislike list for me, and are common snacks and dinner sides, so eating plenty of these is no obligation. Especially since I can devour one salad a day for at least a week at a time, several weeks out the school year, leafy greens are easy to consume. My healthier diet is partially at the hand of my mother. She began emphasizing a healthier diet and daily exercise last year. This is at least when I began paying attention. My step dad however, needs a little more boost, so I have tried to tell him the importance of exercise and healthy eating. Healthy eating he tries to do, also because of my mother, but exercise has yet to become involved in his weekly routine. I spoke about exercise with one of my friends. She is off and on again as I have become this year with working out. We both do try to stay in shape and eat healthy however. Maybe I will have some success in making a difference at college, and hopefully progress myself, too. Looking back on the school year I was most impacted by the Healthy Cowboy Challenge. This was a new experience for me and I learned that there is more to weight loss and being healthy than just what the scale shows. I learned about different workouts and creative meal plans. I have enjoyed working in a group setting and learning to collaborate with others. I have shared a lot of the information that I have learned with my parents and other family members. I have also enjoyed some of the challenges that we were encouraged to do through the blog posts. I remember the week when I cut out all fast food, white bread and soda. Not only have I learned a lot in this class, I feel that I will be able to take this knowledge with me to college to make good eating habits and continue to work out on a regular basis. Throughout this year the thing that has stuck with me the most is what I eat. On the weekends I would always go by fast food places because it's fast and cheap. But after reading about how bad it is for your body and seeing how it directly affects your body I changed my eating habits. After changing my own eating habits I got my family to change their eating habits. Now that all of us have changed our eating habits and we all try to eat healthy for the most part we feel a lot better. Yes. Throughout the school year I have been challenged to make a healthier change in my lifestyle. Of all the topics we learned during the year, the HCC and the Nutrition topic stuck to me the most. Since then I have been managing my portion sizes and watching my daily intake on carbs, sugar, protein, calories, sodium, fat, and much more. I also learned to read the nutritional labels well. My exercise plan improved also. I payed more attention to what I was doing and how it is going to help me. During the HCC challenge my group had to help Dr. Berger out. Throughout that whole process, she improved every day and every time we gave her a check up. We hope that she continues that routine. The thing that has stuck with me the most was Healthy Cowboy Challenge. Even though our client might not have done everything we asked him, it helped me by showing me how i could make easy, healthy choices compared to other bad choices. I have always worked out a lot, but since creating the workouts for our client, i learned the benefit of changing up workouts instead of doing the same thing every time. One thing that I also learned is that the scale might not say that you have lost weight, but that could just mean that you lost fat and gained muscle. One major thing that I also learned, was the day that we looked at fast food resturants, and how awful their food is for you. Also, I learned how much you should eat daily of carbs, sugars, fats, calories, etc, and that has also helped me to look at package labels, and see how much of each I should eat. Throughout the year, we've done so many projects and learned so many different topics regarding our health and lifestyles. The subject that stuck with me the most is definitely the healthy cowboy challenge. I feel like doing that made me realize how big of a difference just every day normal exercises and eating habits can have on our bodies. Also, after that, I've learned to not drink sodas for the past 5 weeks, look at the labels on food, and most of all exercise every single day. I liked the health cowboy challenge a lot and I think that's everyone's favorite. Many topics have stuck with me such as the lessons on sugar intake, calorie intake, and sodium intake something that I had not been informed about before I took the class. I was so surprised when I found out that a can of coke has more than your daily recommended intake of sugar. Not only that the class helped raise awareness to the many scary and sketchy ingredients that fast food restaurants use, now I know not to trust any fast food restaurants and to eat with caution when I do. I pay attention to the labels on the foods especially the ingredients section because there are some very scary ingredients like castoreum. Everyday I share the information I learn from class to my parents who are as of right now trying to become healthier people. Although they are reluctant to listen to my advice I'm convinced that they will finally listen to it later. Many topics have stuck with me this year, but one that stuck to me the most is when i changed my free time to go workout and get healthier. Throughout this year I have started to put on some muscle and have become a lot stronger than I was at the beginning of the year. Along with getting fit, I have brought along my friend Nathan. With him I passed on the knowledge I have obtained through the course of this year. With this knowledge, he is losing weight fast and is becoming healthier every day. One of the topics that stuck with me the most was the effectiveness of exercise. I like that we learned with the amalase lab how stuff is broken down, and were able to relate that to how calories are burned in our body. Throughout the year we have learned about the many things that impact our health. The world also tells us of many things, but it seems like the first step one can really take is just to be active. I have tried a couple of times this year to start being active. Early this year I tried jogging, and recently I have started P90x again. I don't want a gym membership and devote my life to working out, but I sure am going to work on exercising at least a couple times a week for an hour. I have influenced my mom and we are going to make one of the rooms in our house a workout room since we both do video workouts (she does zumba). One thing I've learned for this year is not only eating healthier but exercising more too. I had a good habit of exercising consistently but a bad eating habit, and I assumed if you exercise alot you can eat how ever you want. I think towards prom there was more of a motivation to eat healthier for all girls because of dress fitting. But it's stuck with me since I'm going to be playing a collegiate sport soon I realized my eating habits needed to change so every morning I try to have a hard boiled egg. And I try to eat more fruit and natural foods then artificial, I also gave up fast food restaurants and fries. Overall I think the healthy cowboy challenge was the most beneficial for me because I could see first hand what not to do. My biggest fear when i'm older is getting bigger, so now I can see what's appropriate for my age, and how to stop getting fat before it actually happens. One thing that I found really interesting this year was how much of a difference a simple change in diet can make, even more than exercise. I know we didn't discuss it that much, but some of the things we were learning in class, such as the labs on how enzymes break up fats and organic food vs nonorganic food, really got me more interested in healthy eating, which led me to have a better lifestyle. For exmaple, I already was trying to exercise 5 times a week for about an hour whether it was running, biking, rollerblading,playing recreational sports, or zumba and it was fairly easy. However, I saw the biggest difference in the amount of energy I had and how in shape my body was when I started eating healthier. The diets we made for our HCC teacher encouraged me to try some new foods and alter my diet. I noticed great results, and fast. When I started researching more into healthy food, I got my dad interested because he loves trying to eat healthy. We both kind of helped each other because he showed me how to make the salads he eats and I gave him a ton of information about the ingredients used to make fruit juices that most of us drink everyday (which are unhealthy for you). The activities we did in class also taught me a lot about what goes on in my body and how to take better care of myself. I feel that anatomy is one of the few most useful classes I've taken in high school because I feel like the things I learned about myself is very beneficial to me.